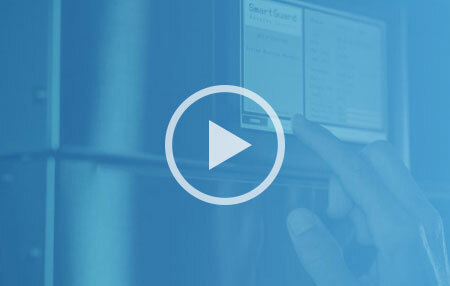 Find out how hard water can damage your plumbing, fixtures and expensive appliances, such as your water heater, and what you can do about it. Hard water is caused by the presence of mineral ions in your home’s water. The most common, calcium and magnesium, are beneficial to our health, but they also cause scale build-up. This hard water scale causes costly damage to water heaters, dishwashers, washing machines and ice makers, and reduces water flow throughout your home. It also increases energy usage in your appliances and can cause them to fail prematurely. Heat: Your water heater is impacted the most by hard water. This includes both electric and gas water heaters. The scale build-up near or on the heating element will dramatically decrease your water heater’s efficiency and eventually lead to early failure. 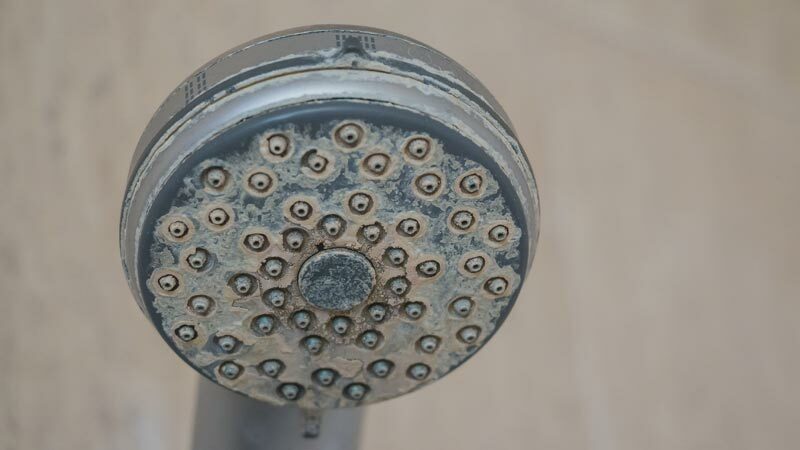 Pressure Change: Showerheads and faucets are areas where hard water scale — often in the form of white or yellowish material — is formed because of the ongoing water pressure changes. In addition to the visible scale, the scale in your fixtures will clog up the spray holes, requiring ongoing cleaning or replacement. Turbulence: Your dishwasher is a common area where a lot of turbulence takes place. 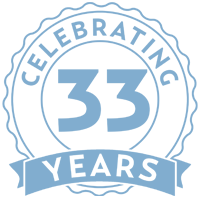 This can be visible on your glassware, silverware, the heating element and throughout the inside of your dishwasher’s baskets and walls. 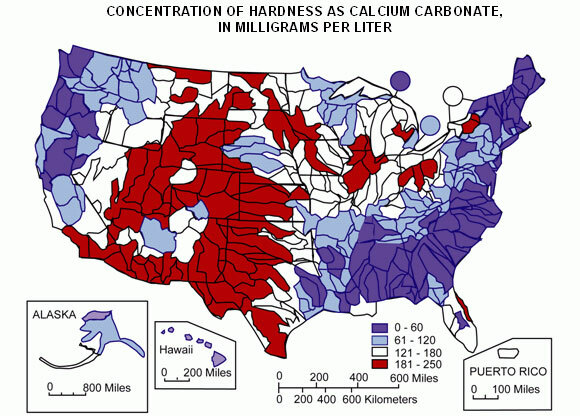 Hard water problems are very common in most areas in the US, but some are more extreme than others. In your city or even your neighborhood, the water hardness will vary because of the different sources for city water or depth of a well. The best way to find out your water hardness is through a water hardness test kit. You can order your Free Hard Water Test Kit online or by calling 1-888-766-7258 to order by phone. Traditionally, salt-based water softeners were used to treat hard water, through a process known as ion exchange. Ion exchange replaces the healthy calcium and magnesium minerals in the water with salt/sodium. The sodium in the water is what gives the water the slippery, softened feel. This process unfortunately requires continuous loads of heavy salt bags. Water softeners also waste a lot of water during their regeneration process, which backwashes much of the unused salt-saturated water down the drain and back into our water supply. For this reason, many cities have started to ban salt-type water softeners. Thankfully, there is an alternative that will treat your hard water problems without the need for heavy salt bags, water waste or the removal of healthy minerals. Our No-Salt Conditioner. This innovative solution has been effectively treating hard water for homes and commercial businesses for over 30 years. 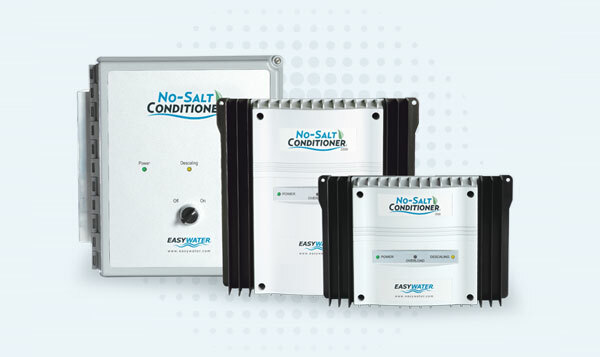 In addition to preventing hard water scale build-up throughout your home, our No-Salt Conditioner will also remove existing scale. 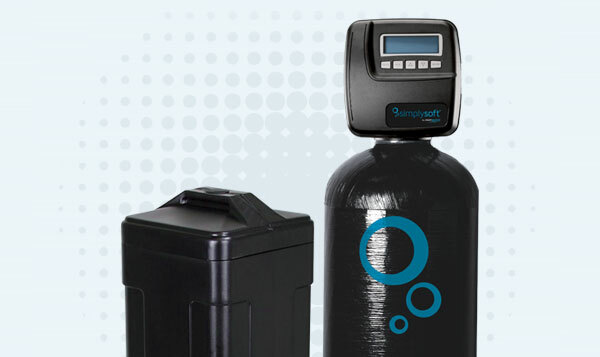 For those who desire that soft water feel, we also developed our high-efficiency water softener, SimplySoft. 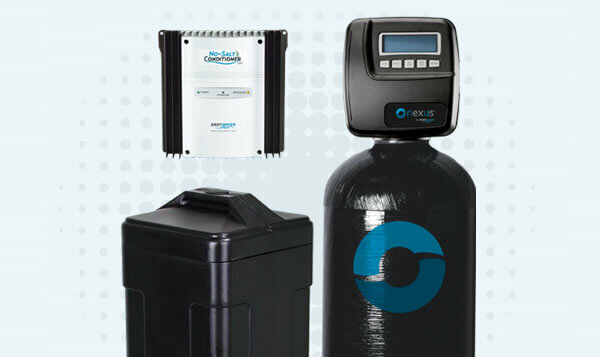 This low-maintenance water softener provides luxurious soft water, but requires less salt and minimizes water waste. 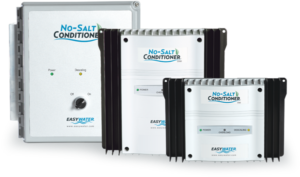 Want the hard water fighting power of our No-Salt Conditioner and luxurious soft water? Introducing Nexus. Nexus is the most powerful treatment system available for hard water, combining our conditioner technology with our ultra-efficient water softener. Get your free hard water solution quote today, by filling out the form below or by calling 1-888-766-7258 to speak to one of our water experts.